Within days after IPL 12 began, An unusual incident which happened during the match between Kings XI Punjab and Rajasthan Royals stirred a controversy. 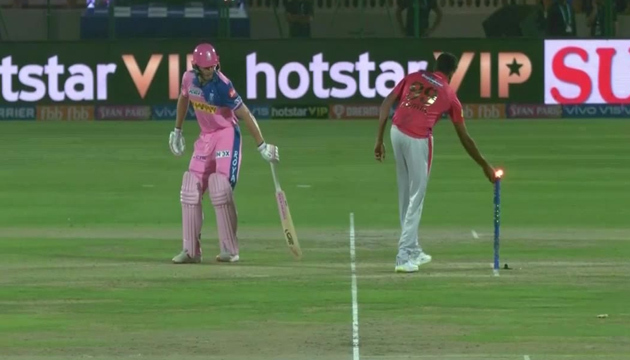 Punjab Skipper Ravichandran Ashwin 'mankaded' when RR Opener Jos Buttler was batting on 69 off 43 balls. The controversial run out has drawn flak. Most importantly, It was a big turning point in the game and Rajasthan Royals faced defeat by a margin of 14 runs. What is Mankaded? A Bowler running out the Batsman at the runners end when he leaves the crease even before the ball is bowled. Former Cricketers and Commentators have different opinions on the controversial run out. Ashwin faced the backlash for going against the spirit of the game to win the match. But, The Spinner defended himself saying run out was done as per the rules of cricket.